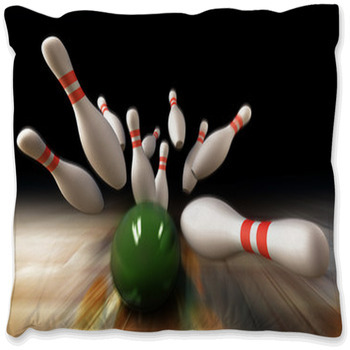 The earliest forms of bowling are rooted in Ancient Egypt and the massive Roman Empire. Bowling as we know it was standardized in the U. S. in 1895. 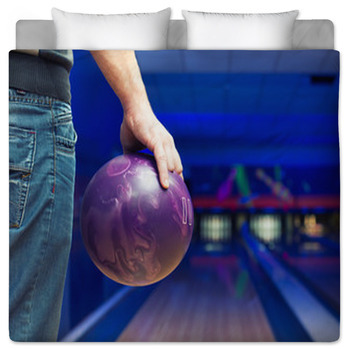 Over 95 million people in more than 90 countries throughout the world enjoy bowling and video games are increasing its popularity. 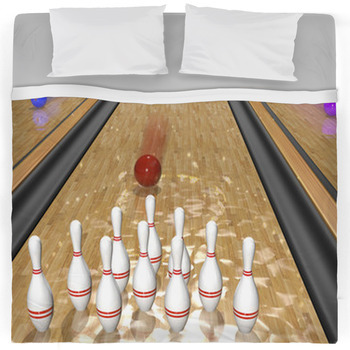 Bowling bedding is one way people can show their love for this fun sport. 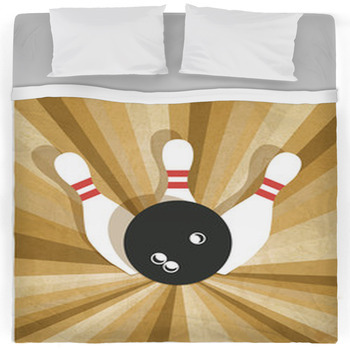 Hundreds of bowling designs are available or even upload your own bowling images. Few things provide more excitement than a bowling ball flying down the lane, on its way to knocking over every pin. 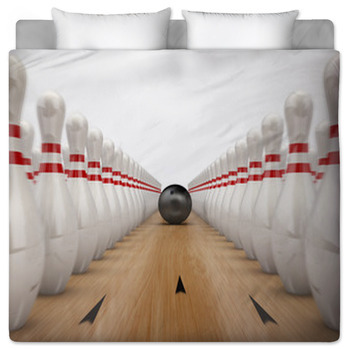 Bedding ensembles capture this action in photographic quality, imprinting it on a thick blanket, comforter, or duvet cover. 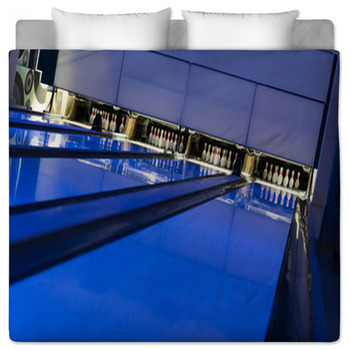 Bowling bedding pays tribute to the heart of the sport and the glory that accompanies it. 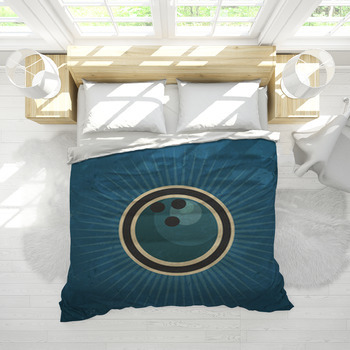 Comforters and duvet covers are available in twin, full/queen, and king sizes and blankets measure an ample 60x80 inches. 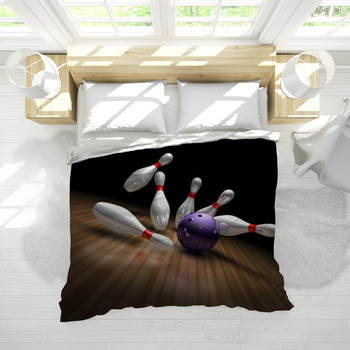 A formidable row of pins makes a great image for bowling themed bedding but even better is a photo of those pins being knocked into the sky by a flying bowling ball. 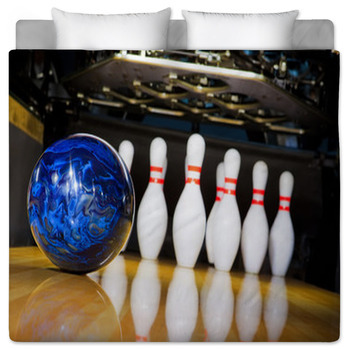 For the bowler who takes competition to another level, there is custom bedding that features a photo of a ball that is literally flaming as it knocks down a series of bowling pins. This definitely sends the message that the competition should beware. 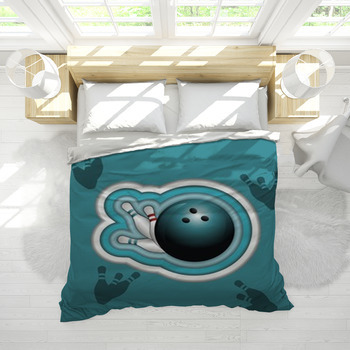 There are designs for the nostalgic childhood bowlers featuring renditions of classic bowling alley signs and other bowling symbols. 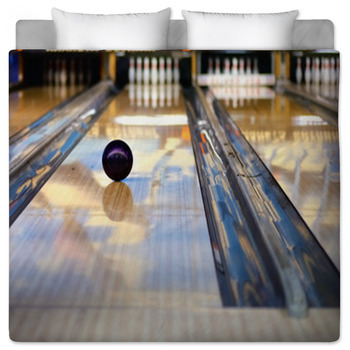 When made into a blanket, the image can cover the entire top of the blanket or become a repeating pattern. 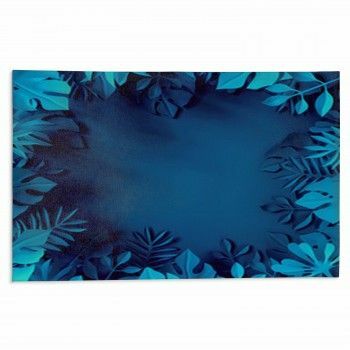 The bottom of this furry fleece blanket is white and the blanket can be used as a bed cover or a throw on a sofa or chair. 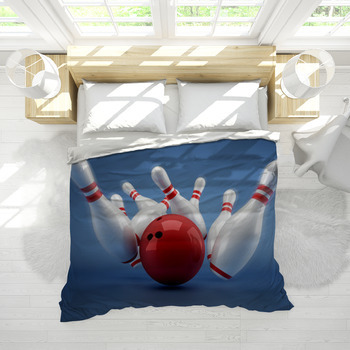 Custom bedding is designed to help bowlers who want to capture their own memories on bowling bedding, by uploading personal photographs or designs to be dyed onto their very own bowling comforter, or bowling duvet cover. 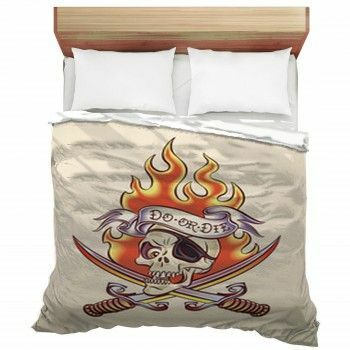 Each of these unique bed covers can also be further personalized with a message dyed into the fabric in the font and color of choice. What a great way to celebrate a team victory!